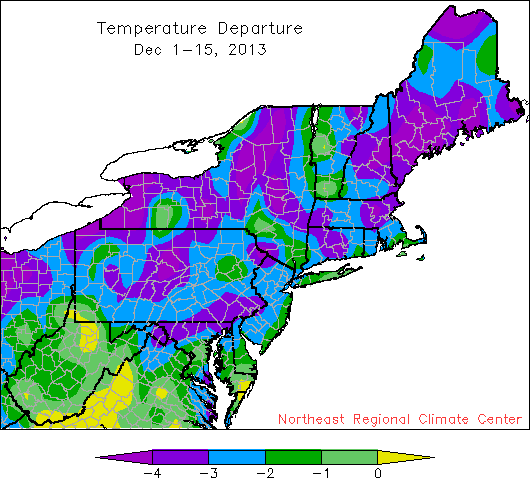 December temperatures have been well below normal. Snowfall so far this December has ranged from less than 4 inches to more than a foot. December has started with a bang for the Northeast. 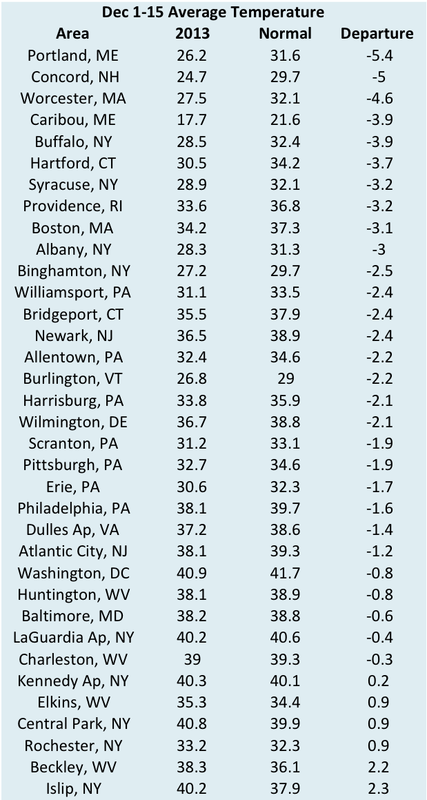 The month so far has been colder than normal for a majority of the region. 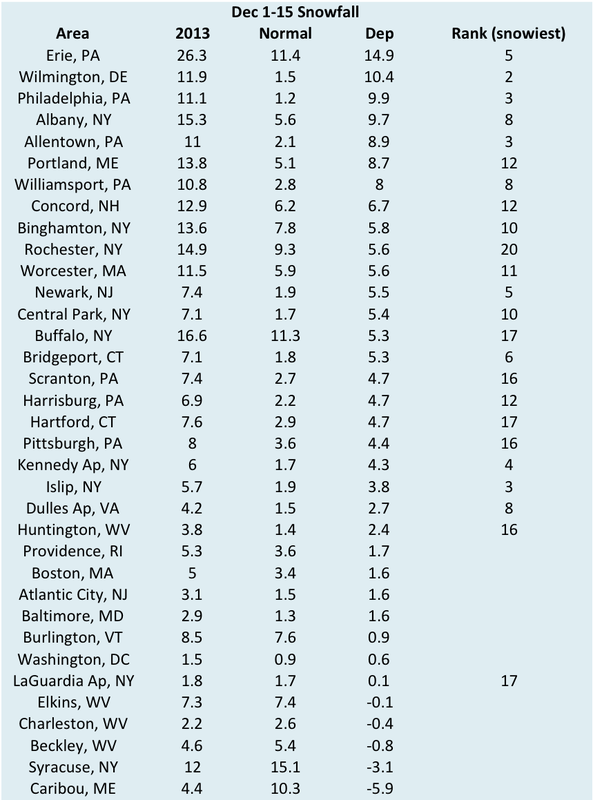 It has also been a snowy month with all of the Northeast seeing the white stuff; the snowiest First Order station is Erie, PA with 26.3". 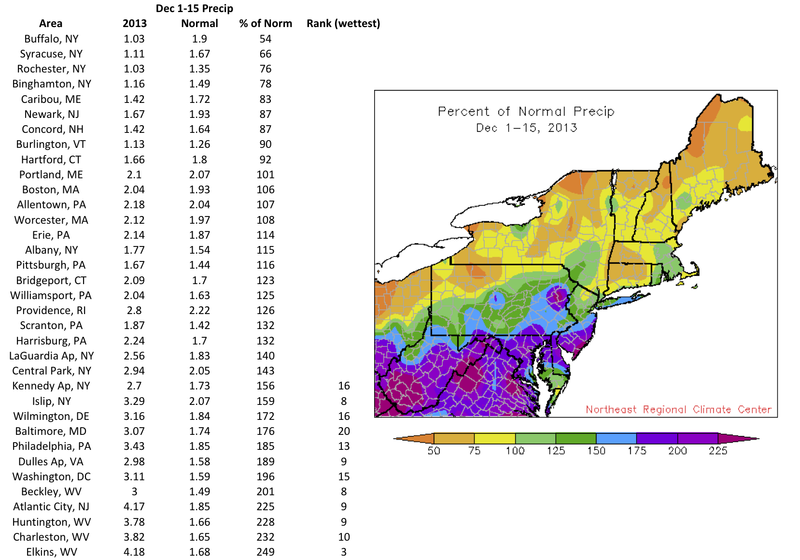 The region is split with above- and below-normal precipitation. Some West Virginia areas have had over 200% of their normal precipitation, while more northern areas have had less than normal amounts. Areas of abnormally dry and moderate drought still persist.